Create an enticing outdoor setting with one of our most popular outdoor fireplace. 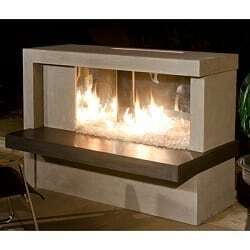 This Cordova fireplace features clean, straight lines and is handcrafted from glass fiber reinforced concrete. A variety of different colors and textures are available. Fuel options include natural gas or propane.. 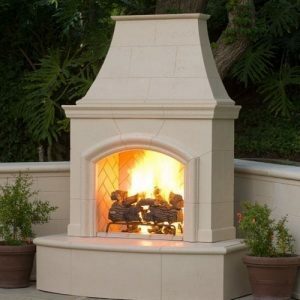 This fireplace, a work of genuine masonry artistry, raises the standard for outdoor living. Select from multiple hearth styles and finishes to suit your design taste. Each hearth will add additional depth the to until, but provides a traditional look. There are eight finish options as well that will cover the fireplace unit and hearth to create a uniform look. 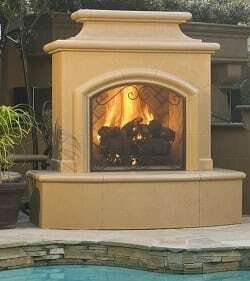 Built from a glass-fiber reinforced concrete frame and a high-temperature refractory cement firebox, this unit is specifically designed for longevity and consistent durability. Ready-made for discreet gas conversion, the American Fyre Designs Cordova Vent Free Outdoor Fireplace is a herald of the outdoor fireplace movement, easily customized to put the gas key and gas line right where you want them. 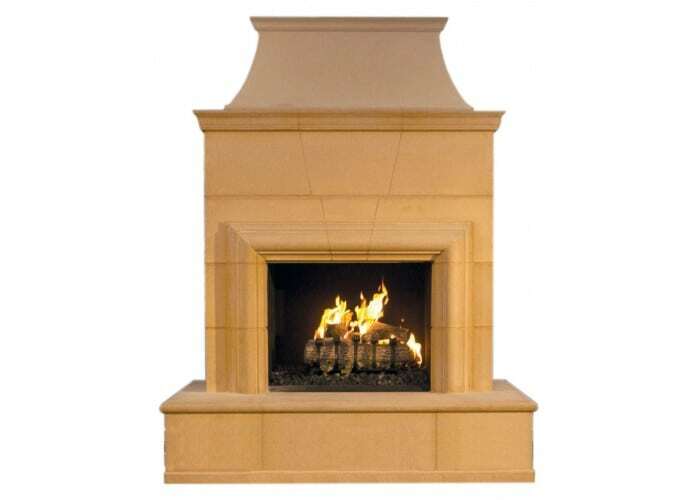 This fireplace is vent free and has two panels – one at the top and one at the throat – to block any venting. The available burners will push all the heat generated out of the front of your firebox so the heat won’t be lost through the chimney! 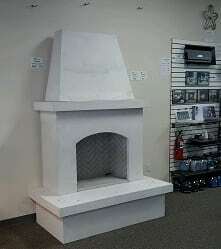 Items Included: Fireplace unit, hearth unit, four herringbone firebox liners, two installed refractory panels for vent free use, vent free burner and burning display.